The board read [5c][Kc][7d] and Jesse Sylvia had moved all in for 14,000. Jon Turner moved all in over the top and the cutoff made the call. Jesse had the best hand but his two opponents were chasing flush and straight draws. 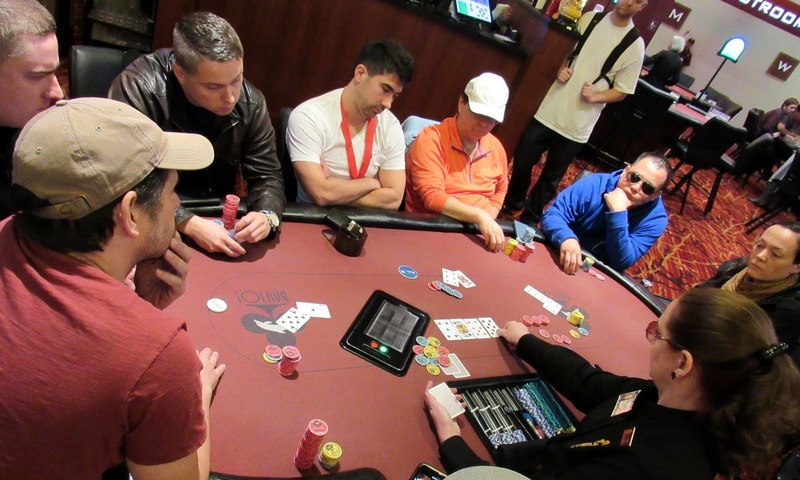 The [8s] hit the turn to complete Jon's flush draw, but Jesse could still chop with a four or a nine, while the cutoff could still win with a club.The river brought the [3s] which meant Jesse would be eliminated while Jon won a nearly 200,000 chip pot.